The World’s Oldest Vegetarian Poop? Winding through the Paleozoic section of our Morian Hall of Paleontology, past the trilobotes, the placoderms, the Sea Scorpions and the other terrifying creatures that roamed the earth at that time, you will eventually come to what we affectionately call our “wall of poop“. It’s in the Permian section of the Hall, to the right of the big Dimetrodon model. The wall has some amphibian skulls, part of a Dimetrodon jaw, and a whole bunch of coprolites. Coprolites are fossilized feces. 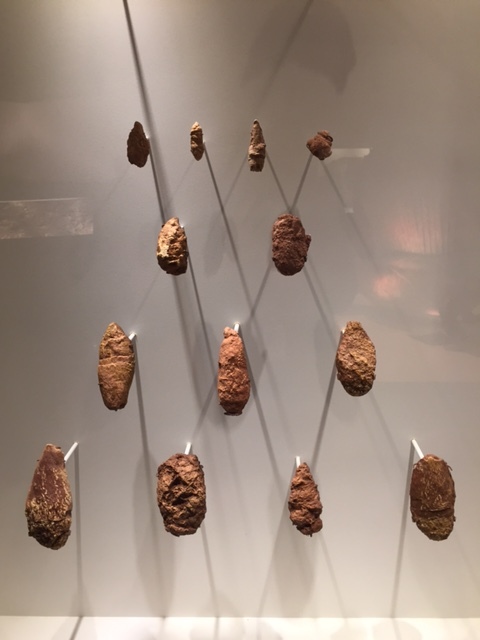 It may sound gross, but these coprolites are important to science! For example, we know for sure that T. rex’s ate Triceratops’ in part because we find triceratops bones in T. rex coprolites. In the same way, we have learned about the diets and lifestyles of Permian-era creatures (who lived millions of year before T. rex) in our hall by studying these coprolites. One very interesting piece is a coprolite that was most likely produced by a herbivorous animal. 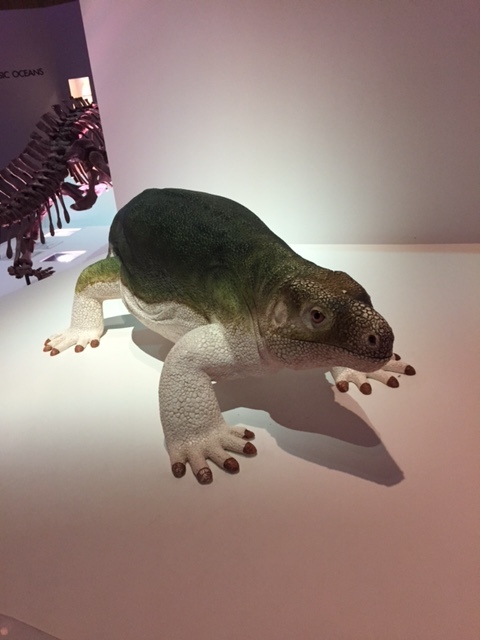 This is a big deal because as far as we know, land-dwelling, herbivorous reptiles were just evolving in the Permian. They show up later in the fossil record because herbivores have more complex digestive systems than carnivores do. You know how cows have eight stomachs, have to regurgitate their food and chew it a few times so they can digest it? Well, that’s because most plants are really hard to digest. So the idea is that the first land-dwelling animals were carnivores and some of them later evolved more complex digestive systems to eat plants. The coprolite we’re discussing is believed to be herbivorous because of its shape and consistency. Compare it (above) to the pictures of those of a carnivore (top of article) and you will notice that the meat-eaters generally produce straight, smooth coprolites, while our vegetarian coprolite is coiled and lumpy. 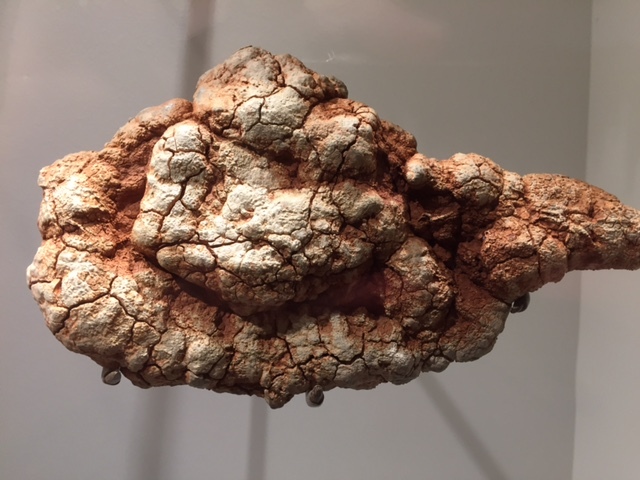 It is believed that the herbivore who produced this particular coprolite was Diadectes, a model of which is pictured below. Do you like coprolites? Are you interested in learning more about vegetarian evolution? Do you have a hilarious or, better yet, informative comment about this blog? Feel free to leave a comment by clicking the little bubble at the top of this post. We want to hear from you! Also, don’t forget to share us!